The YDL is focused on creating and maintaining an environment that allows the best opportunity for younger players to develop their soccer skills. 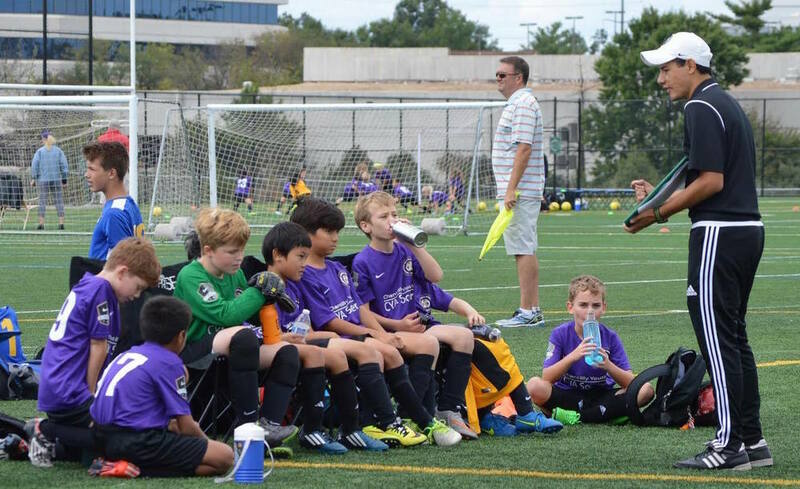 The League is based on the belief that a mixture of small sided games and festivals allows for the creation of more rounded soccer players who can problem solve and make decision at the highest levels. It is also believed that tracking scores and standings do not enhance development and hence will not be recorded in the YDL. The YDL will operate as a Club-Based League where one club plays another club and each club must have one main point of contact for all information. The YDL is set up to ensure proper player development. The League is based on a Club system where each Club has one vote on any governing issue. The Directors of Coaching or a similar person should be considered for this position. The YDL shall be sanctioned thru US Club Soccer and all players and staff shall be carded as such. Each Club must provide sufficient fields to play on. The fields must be in the best condition possible. The Fields will follow US Soccer Player Development Initiatives that must be agreed on before the start of the season by the Competition Committee. Goals must follow the US Soccer Player Development Initiatives must be agreed on before the start of the season by the Competition Committee. Balls will be size 4. U9 and U10 matches shall be played with 30 minutes halves. No jewelry of any kind may be worn. As a safety precaution, referees will use their own discretion as whether to allow any player wearing any type of cast to play. Glasses are allowed to be used at the discretion of the referee. Spectators will remain on the opposite side of the field as players and coaches. The referee and technical director has the final say on whether to suspend, delay or terminate the match due to weather conditions. When thunder is heard or lightning is seen, all matches must be suspended. All games will use a one-man referee system. No club linesman will be used. If, for whatever reason, the referees are not at a match, the Directors of Coaching will provide the best referees possible, whether it is a spectator, coach or someone else. There shall be a minimum of nine players on U9 and U10 teams with a maximum of twelve players. If a home team does not show up to play a game or does not have at least six healthy players for a match, the match, if possible, will be rescheduled at the visiting team’s field. If a visiting team does not show up to play a game or does not have at least six healthy players for a match, the match, if possible, will be rescheduled at the home team’s field. All efforts must be made by the Home team to determine whether the games will be playable due to weather conditions before the opposing team has had to leave their area for the games. Each Club will use a Weather Hot Line to communicate if games are played. All visiting teams are responsible for checking the Weather Hot Line before they leave. In addition, each Home Club will contact the Visiting Club’s main point of contact if the games are to be canceled. This will also be done with as much advance notice as possible. When it is necessary to close a field, that fields’ club rep must call the designated referee assignor. Any player receiving a red card must sit out the remainder of that game. That player must also sit out the next League game. If it happens that the next league game is in another year or in another league, the Club will guarantee and ensure that the Player will still sit out the next league game of any kind. Any coach receiving a red card must leave the premises for the rest of that game. The Coach will not be able to attend the next league game as well. If it happens that the next league game is in another year or in another league, the Club will guarantee and ensure that the Coach will still sit out the next league game of any kind.